conditions.The bent DE (K6STI style) transforms to 50 ohms at feed point for direct feed. -3 dB H-plane         36.4 deg. 36.2 deg. -3 dB E-plane         40.0 deg. 40.0 deg. EZNEC file of this Yagi with 8 mm elem. EZNEC file of this Yagi with 4 mm elem. 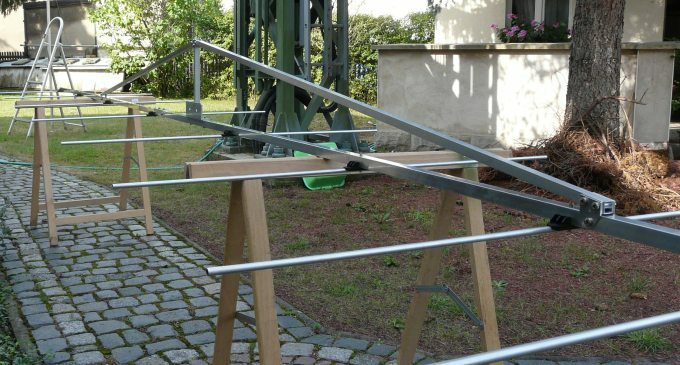 for any bent Driver Yagi (s. '144/432 MHz Long Yagis with a bent Driven Element' Dubus 1/2013 & Dubus Technik XII). The bent dipole delivers 50 ohms as straigth dipole and 200 ohms in its folded form; just as with any non-bent dipole. Outer straight Length = 990 mm, inner height = 50 mm, tubes Ø = 8 x 1 mm. stub while testing on half frequency of the foreseen i.e. 72.2 MHz for the 2 m band. This build needs some adaption of D1 and maybe refined length of the Folded Dipole. Making it a build for the experienced maker that has a VNA. Bent tips rearbound by 30 mm, each a 100 mm from mid of boom on ... and insert. 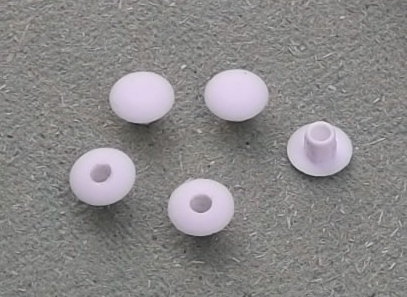 Elements are of diameter 4 mm, so the DJ9BV nylon rivet methode can be uses to mount elements insulated through boom. Element table for building with the advanced SM5BSZ BC applied on 25 x 25 x 2.5 mm boom, 6 mm holes in boom for nylon rivets. Element table for building with the advanced SM5BSZ BC applied on 20 x 20 x 2.0 mm boom, 6 mm holes in boom for nylon rivets. Mounting elements with funiture hole plugs from the Do-It-Yourself market (LDPE). Drill holes of 3.9 mm for 4 mm elements. -3 dB H-plane         40.0 deg. -3 dB E-plane         36.2 deg. -3 dB H-plane         16.2 deg. -3 dB E-plane,        18.0 deg.